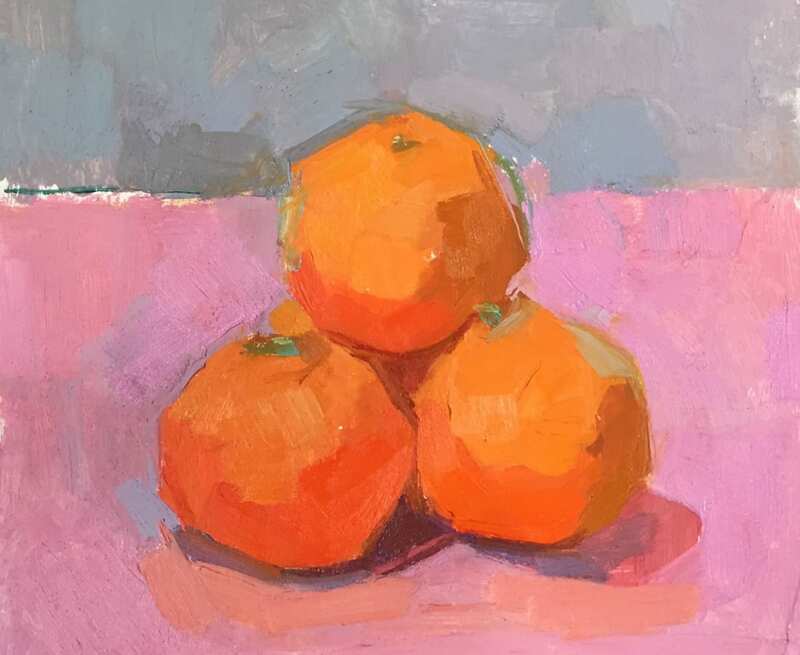 Sarah Wiseman Gallery is delighted to announce a Spring Exhibition, with fresh new work from gallery artists Andrew Hood, Charlotte Cornish Daniel Ablitt, as well as glass and ceramics from Graeme Hawes of Bi-Me, Tydd Pottery and Fliff Carr. 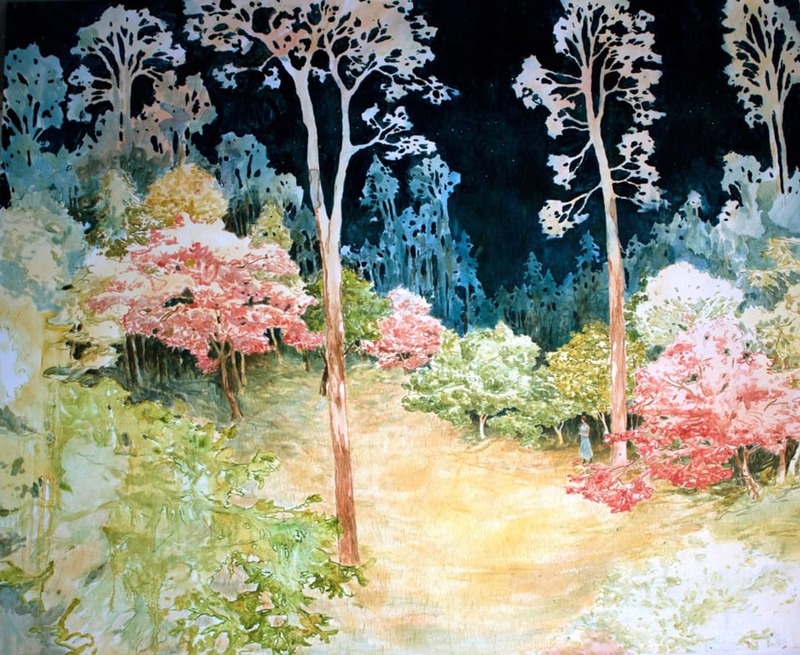 The exhibition will also introduce a new addition to the gallery, the printmaker Jane Walker. 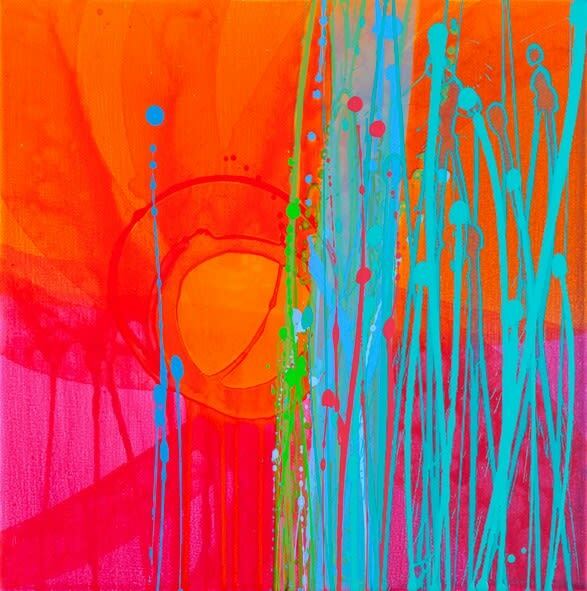 With a focus on colour, texture and light, the gallery will be filled with exciting new artwork that's set to inspire. Daniel Ablitt is an observer of landscape, not setting out to record a likeness of a particular location, but seeking to engage with the emotional effects landscape has on us as human beings. His paintings depict partly-imagined places and half-remembered landscapes captured mostly from his travel experiences and childhood. These memories are pieced together with other fragments of influence that have been absorbed through film and literature combining to express and explore his personal mythology. Fliff Carr's ceramics are highly sought after, her delicate work being collected avidly by gallery visitors - her work doesn't stay in the gallery long. Since a young age, she has had a fascination with collecting objects; her work is inspired by the idea that artefacts represent remnants of personal histories. Fliff's ceramics are shaped and informed by collected objects as well as details from antique book illustrations and lace. 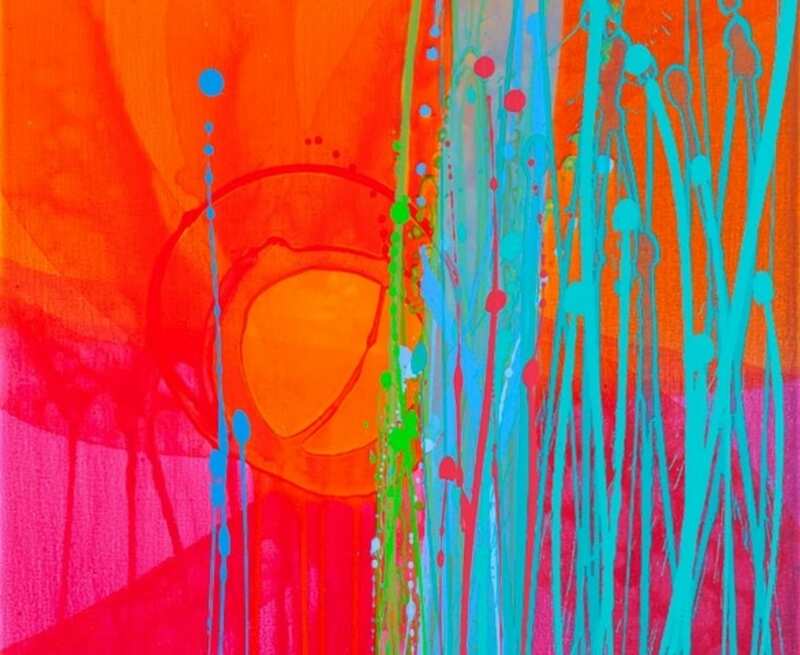 Charlotte Cornish is one of the UK's leading contemporary abstract artists; through her strong, energetic mark making, Charlotte explores the world through colour and line. 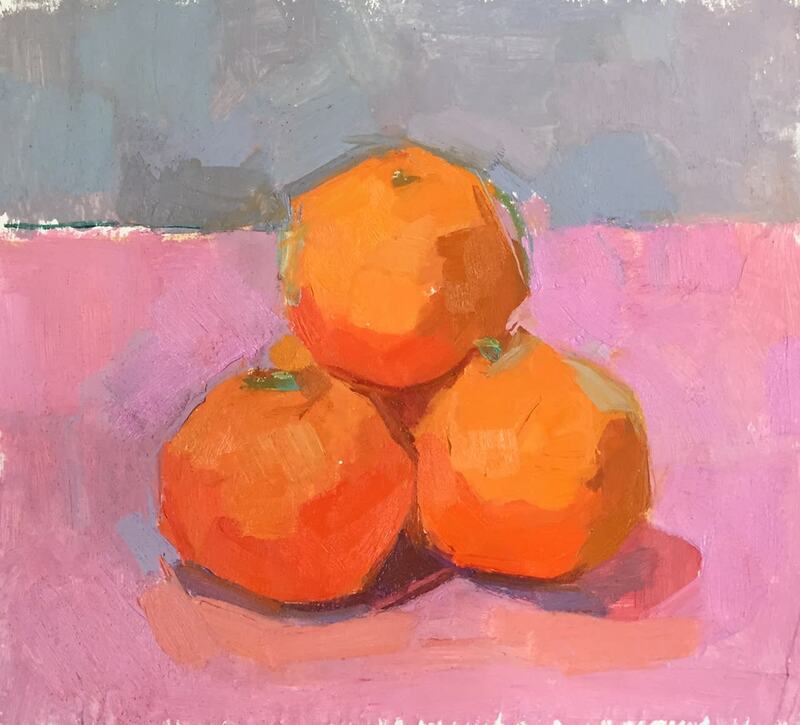 Making several trips abroad each year, Andrew Hood's paintings are born from detailed, lively sketches he makes 'on location'. Bustling cities in destinations like India, Morocco, Italy and France all lend themselves well to Andrew's animated, expressive mark-making style. It is his aim for the viewer to see beyond a picturesque location as he captures an elemental energy of time and place. Di & Anthony Edmonds, the creative force behind Tydd Pottery, have been running their studio since 1974. They never tire of the creative process and each delivery to the gallery is a delight with new patterns and shapes being added to their core designs. Their recognisable ceramics are glazed with a cobalt blue, majolica glaze, using designs that can be mixed and matched. Their work is hugely popular, with many of the gallery's customers' returning again and again to add to their collections. Graeme Hawes, formerly of Bi-Me glass design, has delivered a new collection of handblown glass bowls in glorious colours, some in completely new colourways. Finally, we are very pleased to show the work of printmaker Jane Walker. Using a reductive linocut technique of a single block, her elegant prints reveal a fascination with still life and her colour palette and graphic sensibility reflect her love of 20th century artists and craftsmen, 50s textile design and Scandinavian ceramics.